Penguin Random House Australia is known for quality publishing when it comes to adult and young readers’ books, but its marketing team’s idea to engage with readers has opened the door to an entirely different kind of publishing. 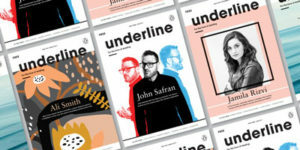 Their quarterly street-press-style magazine, Underline, not only showcases their talented published authors, but supports one of the publisher’s pillars for growth: discovering new audiences and readers. Launched late in 2016, Underline is the first of its kind and is created entirely in-house by the PRH Australia marketing team. Designed to be dog-eared and devoured at leisure, each issue of Underline is a chance for readers to delve a little further into some of the world’s finest literature—and into the minds behind it. In less than a year, Underline has gained much acclaim from authors, customers, and readers alike. Readily available at bookstores, cafés, theatres, bars, and boutiques throughout Australia, Underline is now nearing publication of its fifth issue and its first birthday edition, which will be published this November. Due to overwhelming positive feedback and ongoing demand from booksellers and readers, its circulation has risen with each issue since launch and now stands at 50,000 copies nationwide. Four to six weeks after the print issue hits the streets, an online edition is available to read through Issuu, an online magazine platform, with both formats promoted through PRH Australia’s online channels. Underline brings together extracts, interviews, articles, short stories, recipes, reflections, and much more to celebrate brilliant writing in its many forms. Tim Winton, John Safran, Ali Smith, and Jamila Rizvi have been presented on covers. The November-issue cover story features Man Booker Prize–winning Richard Flanagan in a four-page profile and an extract from his new novel, First Person. 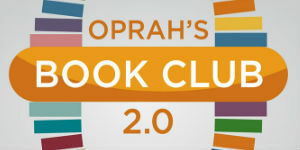 Previous Underline content has included recipes from Yotam Ottolenghi; extracts from Howard Jacobson, Tracey Chevalier, and Robert Dessaix; posters for the Vintage Woolf series, Black Classics, and Men Without Women by Haruki Murakami; book reviews from Fiona McFarlane, Candice Fox, and Chris Kraus; and themed collections such as Strange Perspectives, Modern Australian Classics, and Shakespeare Revisited. 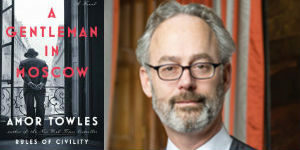 Each issue ends on a page called End Notes, where five newly released Penguin Random House books are highlighted as must-reads. Previously featured are works by Arundhati Roy, Salman Rushdie, Emma Cline, and Mohsin Hamid. “Underline has been incredibly well received thus far. The pride the team takes in its creation and reception has been instrumental to its success, and we’re all very excited to explore more and more innovative ways to bring our fabulous literary list to readers and the Underline brand to life,” said Jake Davies, group head of Marketing, Penguin Random House Australia.